I'm taking a brief break from the Daemons to prep my next project - Classic Tyranids. These are a long overdue revamp of my 2nd edition Tyranid army. 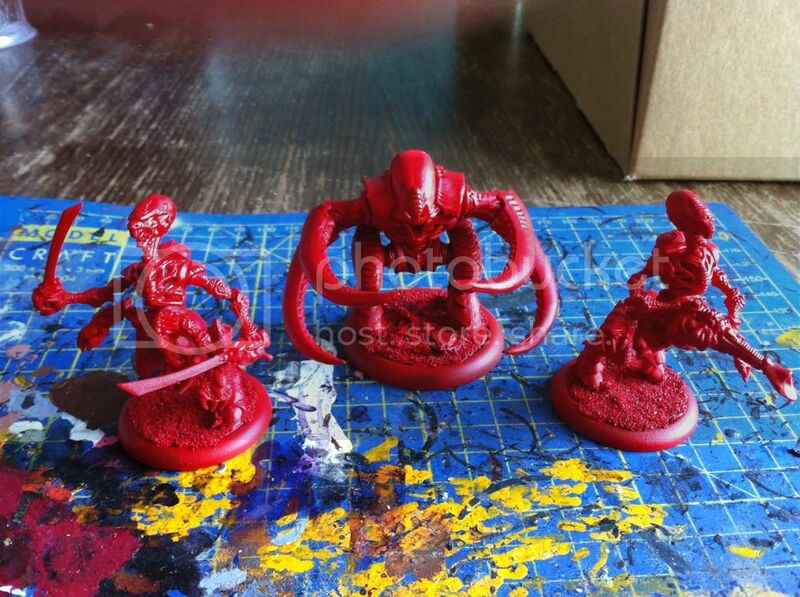 The undercoat was Army Painter 'Pure Red' undercoat and their colourscheme will be 'classic' red and bone. Once they're all undercoated I'll probably put them back in the cupboard until after the Shale campaign is complete. Apologist and I played our first game of Grind last night. 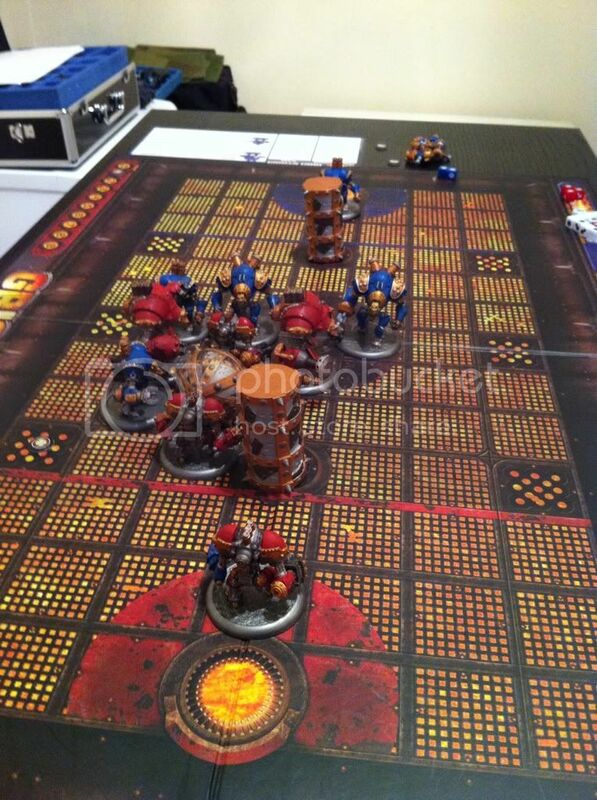 The PCRC is starting a dalliance with Warmachine and Hordes. The background is yet to capture my imagination in the same way that 40K does, but I've enjoyed the handful of games I've played so far, and the miniatures are fun to paint. Whenever we try a new game I tend to gravitate towards the "commies" for some reason. It happened in AT-43 and it's happening again now. This isn't due to political preference, I just like their aesthetic. Here's my 20 point battle group so far.